While working in busy urban centres, contractors must minimise dangers posed to the public. This is particularly the case for drivers, who must be aware of vulnerable road users. 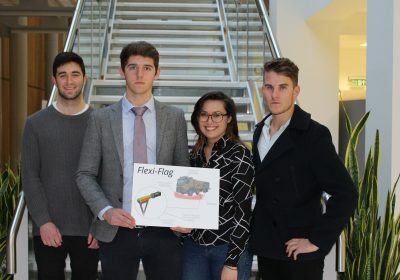 The company launched a competition for design students at Nottingham Trent University to design a system to improve safety for cyclists and other road users. 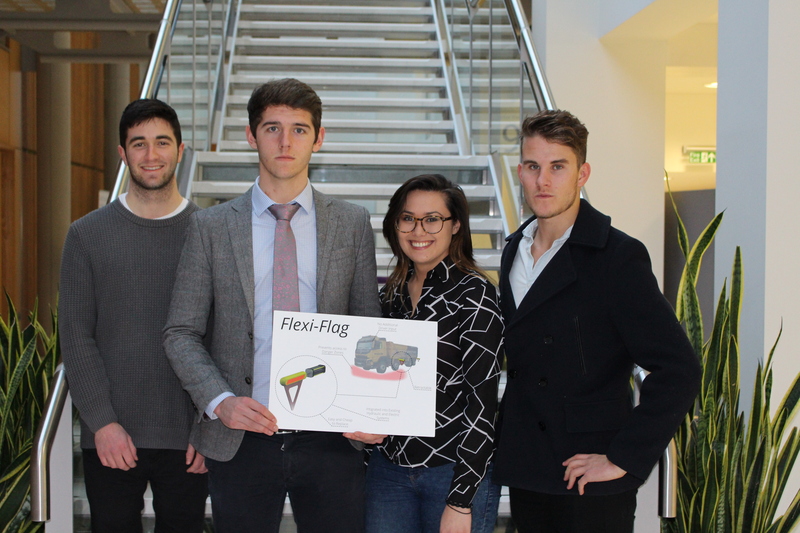 The winning solution was the ‘Flexi Flag’, a retractable warning system which is mounted on tipper trucks. The ‘flags’ are deployed when the driver activates the left indicator on the lorry and retract when the signal is turned off. The flag is designed to operate from the vehicle’s electrical system, indicators and speedo so that it only deploys below 30mph. The student who worked on this design has been offered a year’s placement with the company. This system alerts fellow road users of the vehicle’s movements without requiring any extra requirements on the driver. The flag has been extensively used on this site and is being rolled out on all company lorries. Monitor report. 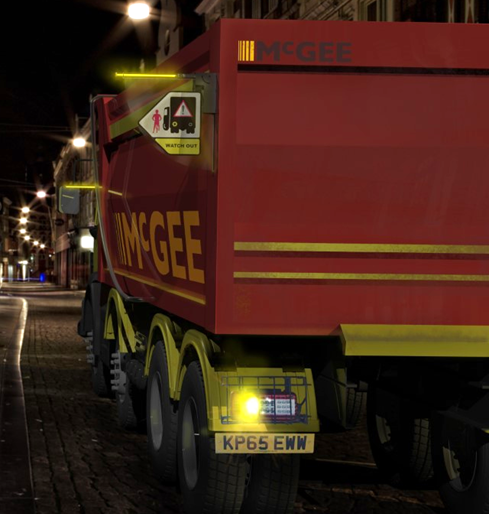 McGee Group Holdings Ltd. London. June 2017.